I thought I'd share some really simple and easy ideas for using texture and layers on your pages--I get lots of sweet comments on my layouts about my "layers", so I thought I'd give a couple of tips on how you can use layers and textures to make your layouts "pop"! 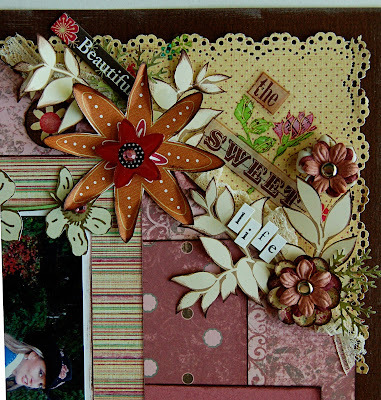 I used the brand new Moxxie line from AllyScraps to make this layout, along with some K & Company "Margo" collection papers along with Prima flowers, Pink Paislee paper, Cloud 9 papers, and some Rusty Pickle lace ribbon. 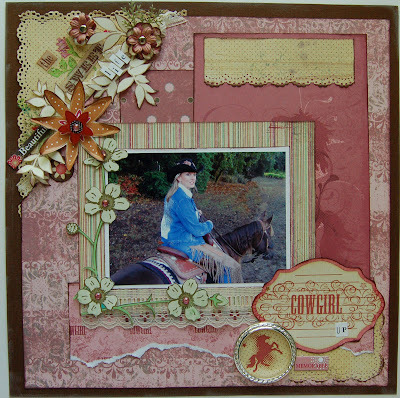 Just using different textures and patterns on your layouts can make a huge difference! I first started by choosing different patterned paper that complimented each other. 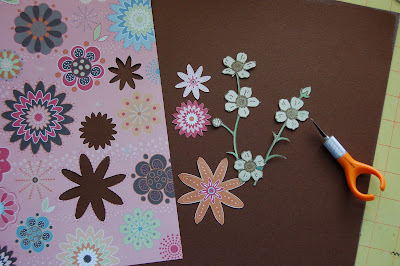 I really liked the flowers in the Pink Paislee and Cloud 9 papers and hand cut the blossoms from the paper. 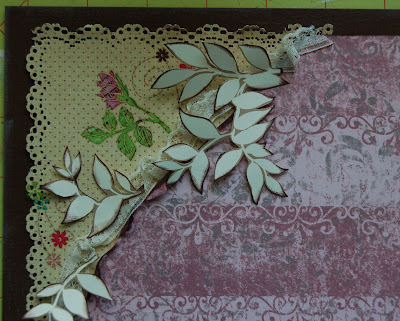 Using a border punch to create a "rustic" texture on the corner of my layout, I cut the edges with the punch and then tore another edge from a different pattened paper and inked both. 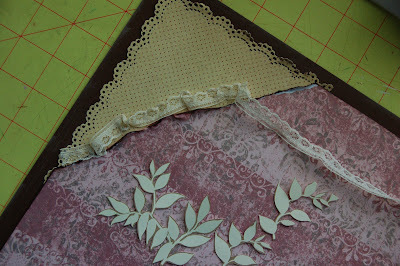 I then laid them together and added a bit of lace to the edge, staggering the lace with glue dots. 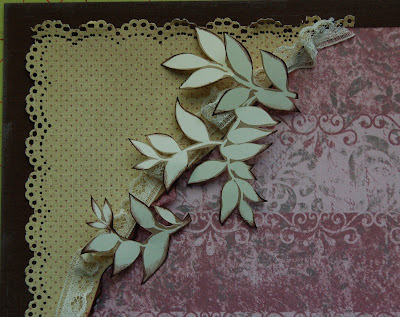 I then used handcut leaves from patterned paper and laid these on top of the edge of the lace and paper--you want to give the leaves a little dimension, so you can use either 3-D glue dots or pop dots. and then layered my embellishments on top of everything. I chose handcut flowers from patterned paper, metallic brads, a little bling, and some Prima flowers layered together for my embellies. This is such a simple and fun way to add layers to your layouts!! BEAUTIFUL LO Kary! I love all the texture you've created. TFS!